An authentic testimony of an ancestral tradition that could disappear in a short time. 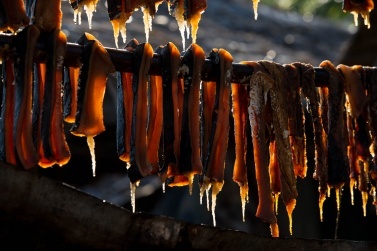 The reportage tells in fact the fishing for subsistence marine animals still made according to traditional methods already used in the nineteenth century. 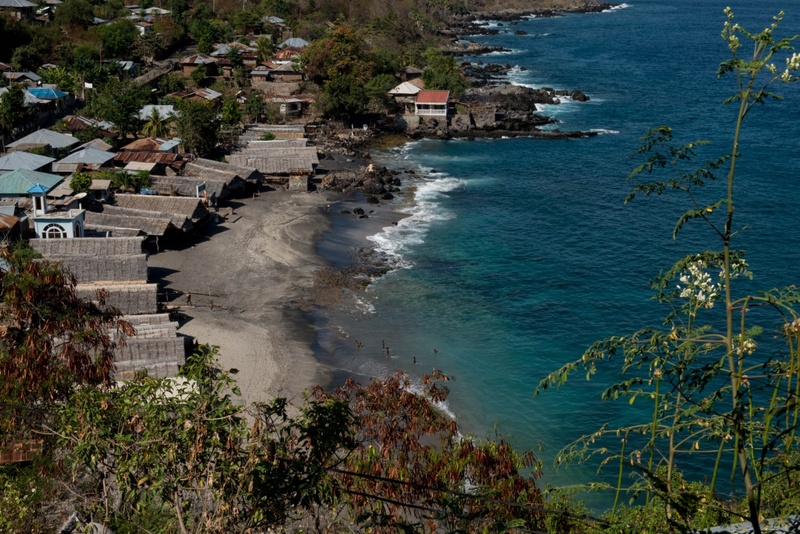 We are in Indonesia, in the small and perched village of Lamalera, on the southern coast of the island of Lembata, which is part of the Nusa Tenggara Archipelago. 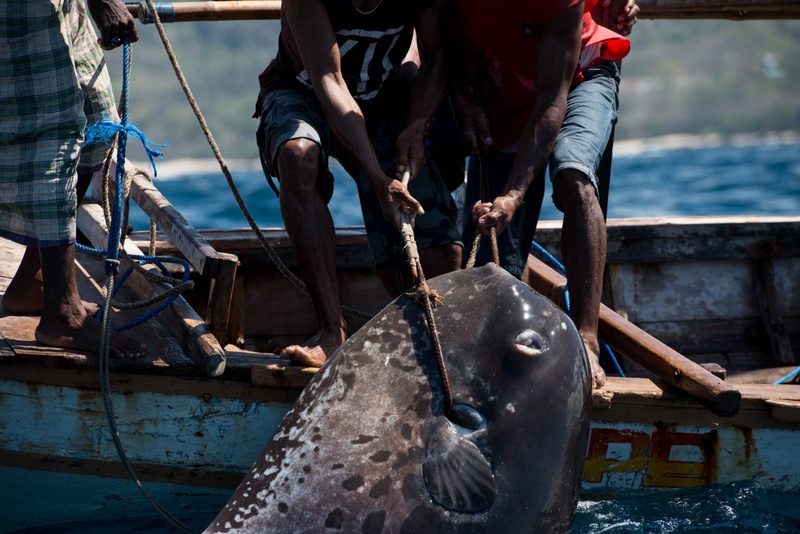 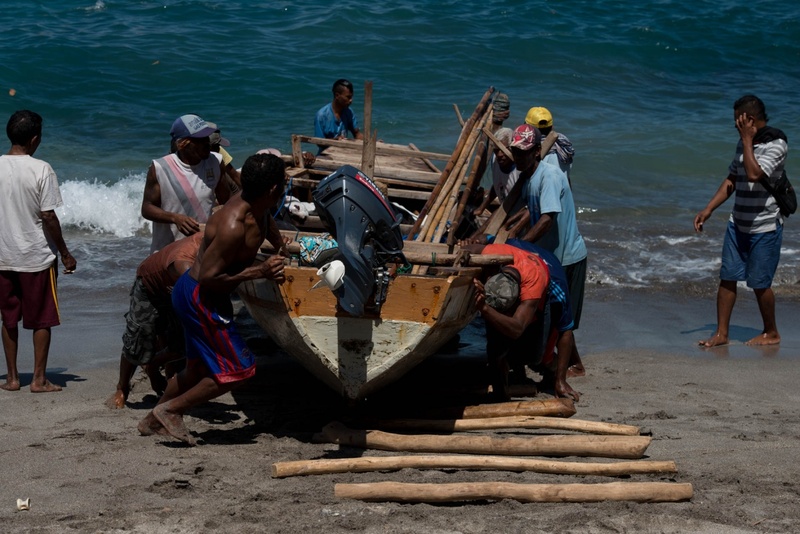 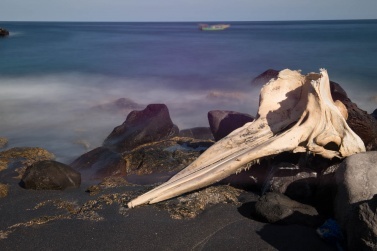 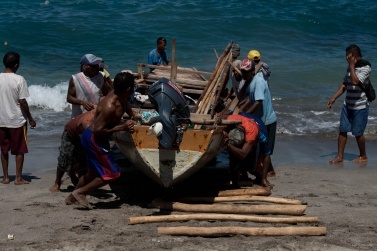 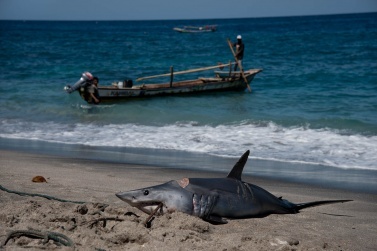 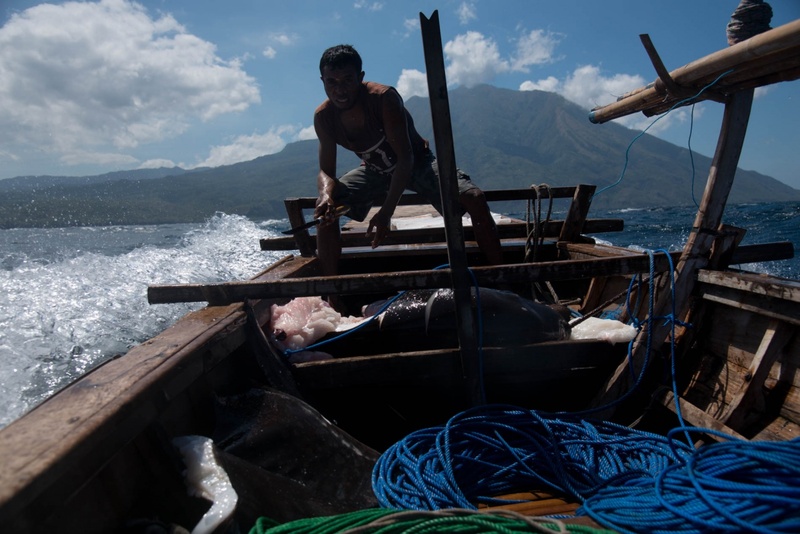 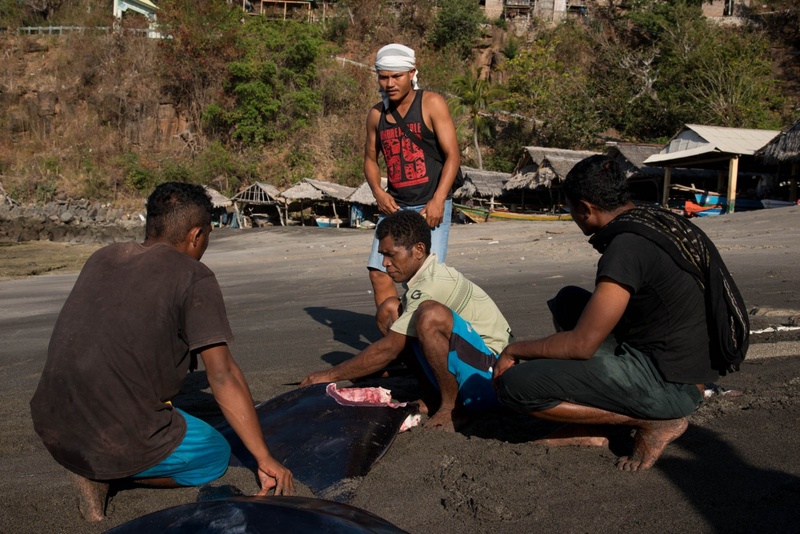 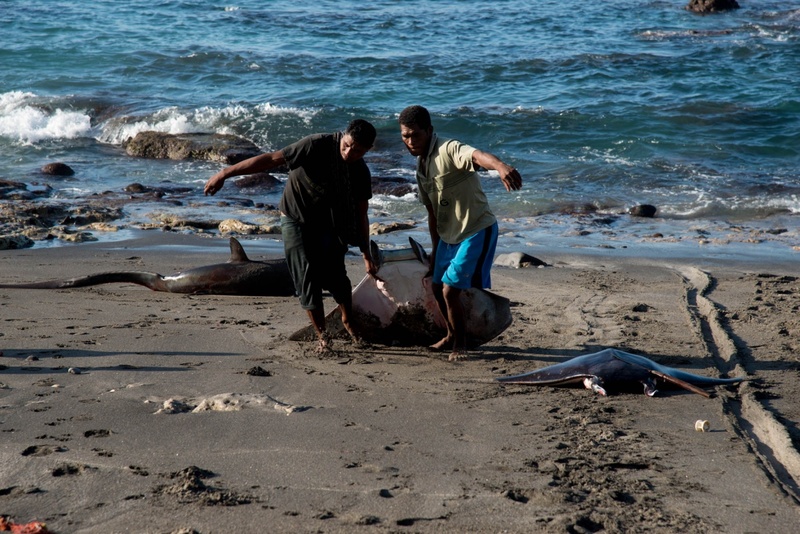 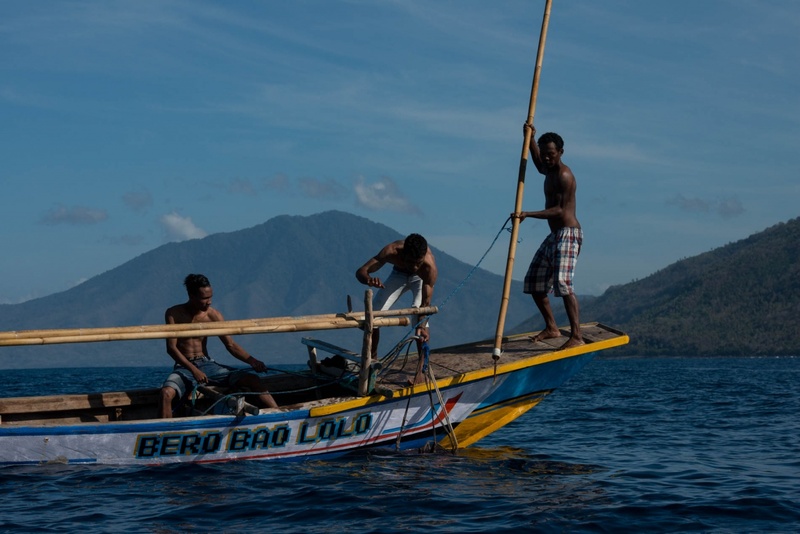 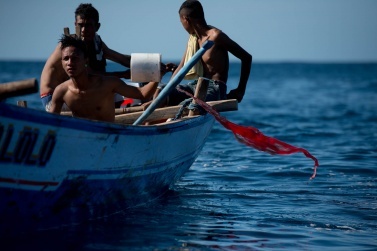 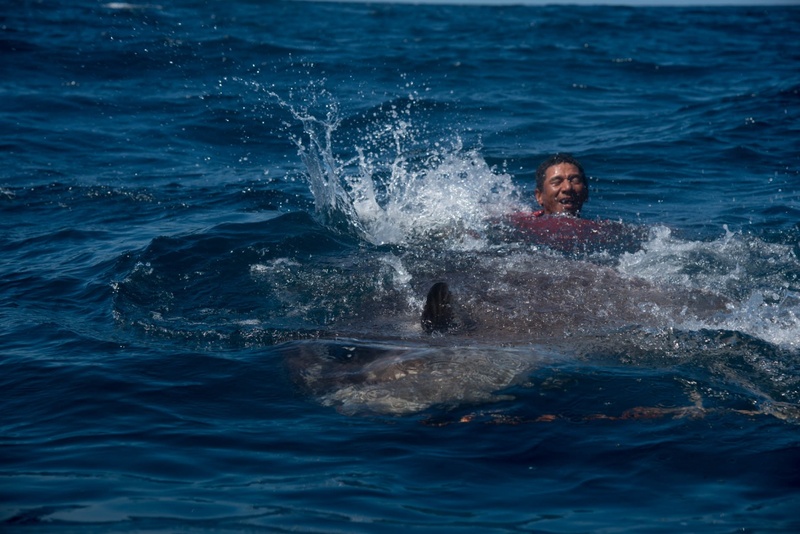 In fact, the village of Lamalera remains one of the few places in the world where whale, dolphin, killer whale, shark, marlin, manta and turtle are still practiced using only iron harpoons mounted on bamboo reeds, which are stuck in the body of prey sighted by the harpooneer. 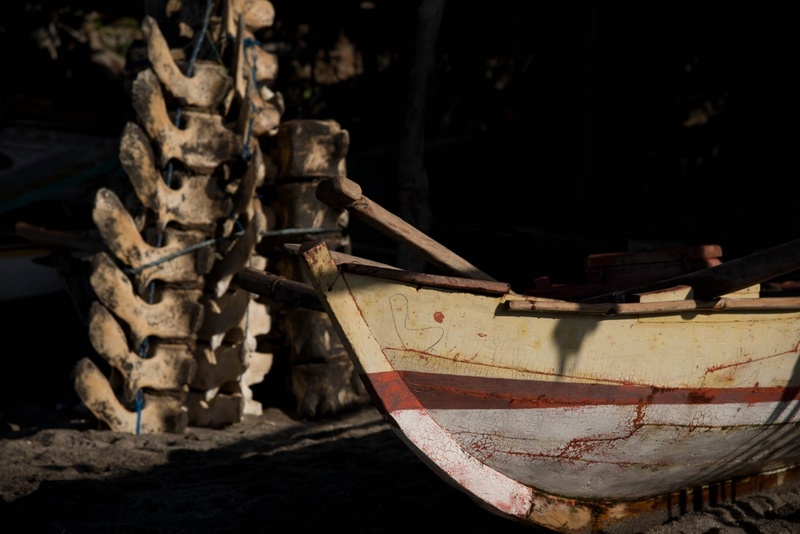 The harpooner stands on the shelter of the small wooden motor boat. 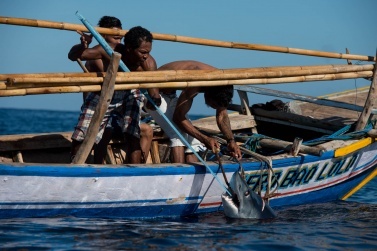 The engine is switched off as soon as the boat is close to the animal and at that point the oars are used. 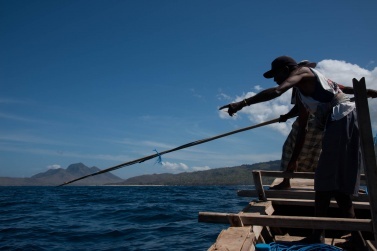 Here the fishing becomes a real fight on a par between the prey and the fisherman who demonstrates their skills and courage by jumping on the animal to groped to capture it using only the harpoon. It is not always the animal that succumbs and sometimes men are killed or seriously injured. 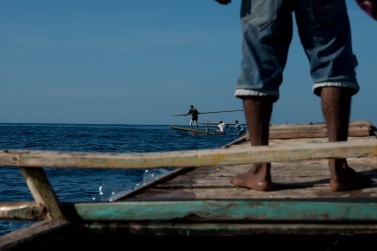 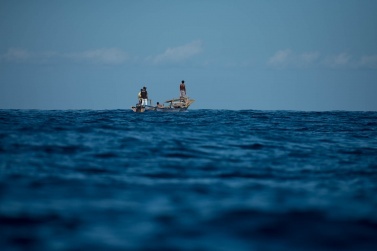 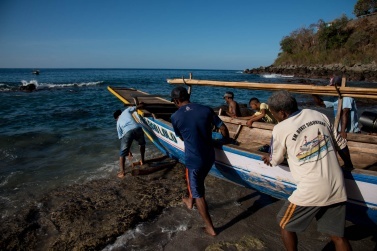 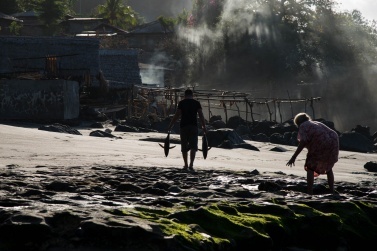 Since the territory on which the village stands is basically rocky and has very few productive land, fishing is still the most important source of subsistence today. 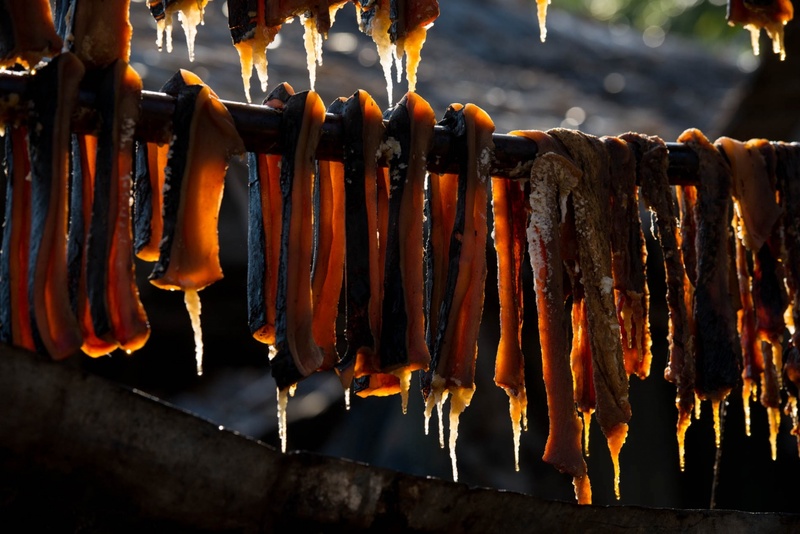 All that is captured is divided between the villagers, and partly eaten fresh or dried to be consumed during the seasons when it is not possible to fish. This type of ancestral fishing, which has the form of a ritual rich in superstition and sacredness, has remained essentially unchanged for centuries and is handed down from generation to generation, from father to son.